Toothpaste is Amazing. I know you thought it was just for keeping a healthy smile and fresh breath. 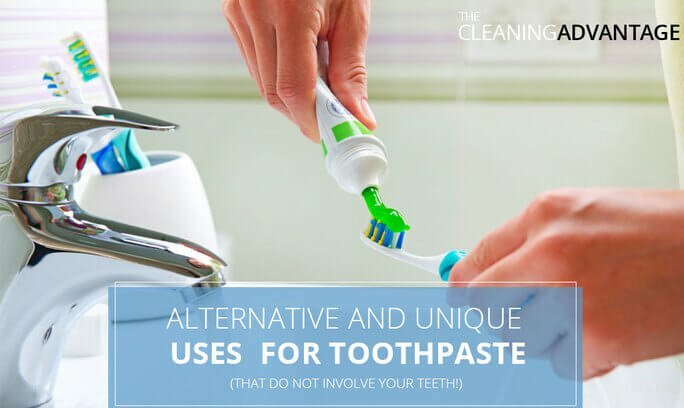 However, your toothpaste has a vast list of uses around the house too. Something is astonishing sitting in your bathroom cupboard or on the side of your sink right now. And you reasonably have no idea how practical it is. More so, you even use it every day. Additionally, you rely on it for an exceptional reason. Want to guess what I am talking about right now? It is, of course, your toothpaste. Yes, the simple tube of toothpaste is just, a little bit, surprisingly, magical. Believe it or not, your toothpaste has, literally, about a hundred different uses. 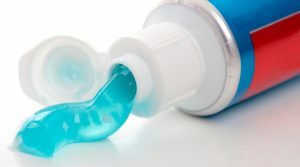 In fact, there exist very few things that toothpaste cannot do. Well, if you do not believe it, you can try a couple (or a lot) of these alternative applications for yourself. It is not as if toothpaste is in scarce supply, so why not have a little fun with it too? You might just discover yourself a kind of cool new life hack. This simple guide will show you some of the most unusual and clever ways to use toothpaste. A small amount of toothpaste does a fantastic job of removing scuffs from leather shoes. Just put a dab of toothpaste on the scuffed area and rub it in with a soft cloth. Then, leave it for 30 seconds. Lastly, wipe your shoes clean with a damp cloth. The Result: leather will look like new. It can be a challenge to prevent your little kiddies from making their mark on the wallpaper. If your little one finished creating artwork in precisely the wrong place, do not worry. You can remove it safely, without hassle, with toothpaste. It will not damage your paint or wallpaper, so it is a genuinely compelling solution. Just treat the crayon markings with toothpaste. Then, leave it to rest for a day. Lastly, wash it off with cold water. Has tickling the ivories of your piano keyboard left them a bit dingy? Spruce them up using toothpaste and a toothbrush. Then, wipe your piano keyboard keys with a damp cloth. Additionally, toothpaste will work just as well on modern pianos that usually have keys covered with plastic rather than real ivory. The Result: A cleaner, shinier piano keyboard, enticing you to play a tune or two. We all experienced smelling that musky smell of car after it is left outside under the sun. It is never a fun experience for anyone. To avoid it, first, take a couple of smears of toothpaste and put it on a paper towel. Then, fold the paper towel and place it underneath your car seats. That way, the toothpaste does not melt too fast. Quick reminder, however, please only do it when parking the vehicle in direct sunlight. Once the temperature heats up in the car, it will begin to melt and soften. The Result: ultimately, the car will fill up with a minty scent from the toothpaste. Is your clothes iron due for maintenance and cleaning? Well instead of using other cleaning solutions that could damage your clothes iron, try using toothpaste to clean it. The mild abrasive found in most non-gel toothpaste is just ideal for scrubbing the gunk and grime off the bottom plate of your clothes iron. Apply it the cool surface of the clothes iron plate. Next, is to rub it with a rag. Then lastly, wipe it clean using a clean cloth. The Result: A fresh, mint-scented, clean clothes iron ready for you to use. As time goes by, dirt and grime eventually collect in the creases of our refrigerator seals. It is, by far, one of the most challenging areas to clean. By the most part, it is due to most cloths and sponges that are not always suitable for cleaning tiny areas. However, you can take an old toothbrush, cover its bristles with toothpaste and use it to clean the inside folds. The Result: A far cleaner refrigerator, cleaned with a non-toxic substance. The one thing many collectors hate more than an incomplete set is a collection that not properly maintained. It rings true for all die-cast collectible enthusiasts as well. Over time, your die-cast collectible gathers dust and other substances, even while in storage. Toothpaste is a handy cleaner when it comes to intricate die-cast models, especially cars and battle figures. These little die-cast models always have lots of awkward edges and corners. So, the ideal way to clean them is to get right in there with an old soft bristle toothbrush. The Result: A clean, well-maintained die-cast collection, ready for display. If you get scratches or scuff marks on your vehicle’s headlights, you must clean them off quickly. That way, they do not obscure your view while you are driving. Many cleaning products are currently available in the market that claims they are the best in handling headlight scruff. Unfortunately, most of these products come with a hefty price tag. Good thing toothpaste can also get those scratches or scuff marks cleaned up too. Just rub a generous amount of toothpaste over the glass covers. Then, use a soft cloth to rub until the scuff marks vanish. The Result: Scratch and scuff mark-free headlights for safe driving.